Citygirlfriend helped us move the herd to the next pasture. 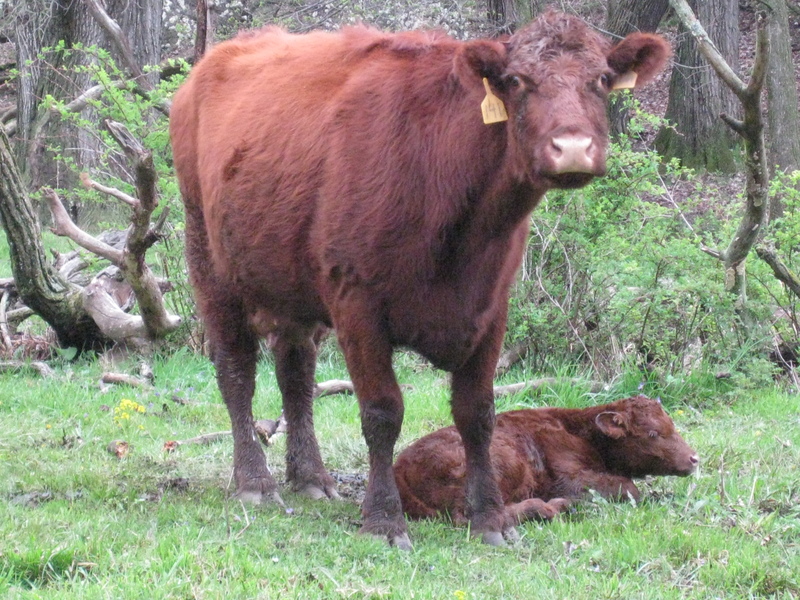 The young calves are slow to move unless they are at their mother’s side. Citygirlfriend did fine. I didn’t go far from her, though. I worried she wouldn’t recognize dangerous body language in the mother cows. 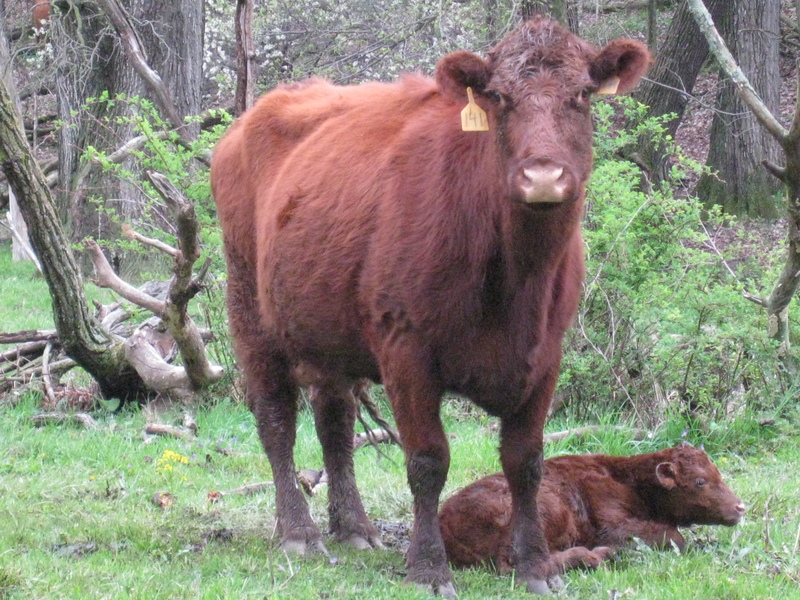 The cow above is protective of her new calf, but neutral. When I approached her, look at how her body language changed. She is telling me she won’t back off and I better. This entry was posted on Friday, May 21st, 2010 at 2:07 am and is filed under Curious cattle. You can follow any responses to this entry through the RSS 2.0 feed. You can leave a response, or trackback from your own site. Have you ever pushed it to where you have been charged by a mother cow? I wonder if there have been any studies on whether or not the “safe” distance is roughly the same for all cows, or if it is linked to something, like how much distance they can cover in so many steps? ok, learned something new today! Thanks WSB. Quantumndevices, yes I’ve been charged plenty. Hit too. No major injuries, though. The distance for each animal is different. Part of good stockmanship is recognizing this. The very best can work with an antelope at a quarter mile. That’s subtle.